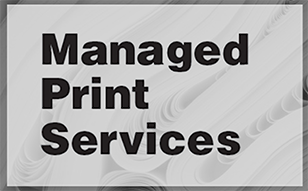 What Is Managed Print Services and How Do You Choose the Best Provider for Your Company? It is very common for copier companies to sell a Managed Print Services (MPS) solution to a customer and then completely under-deliver the service. If you look at their website, it might list MPS offerings, but in fact, they don’t really know how to do MPS. Many supposed MPS providers even lose money because they do not have the scale to do the job right. They might talk the talk, but they certainly can’t walk the walk. 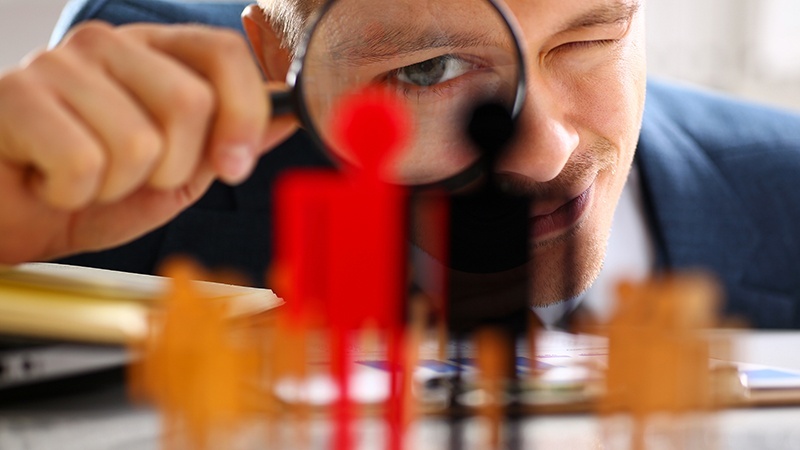 This article will teach you how to avoid choosing the wrong provider and how to spot a true, competent Managed Print Services partner. The secret? Look under the hood. They are at risk of losing their customer or a sales opportunity if they decline to offer MPS. They don’t know what they don’t know. They think that shipping toner and repairing printers qualifies as MPS. But real MPS is so much more. How hard can managing your printer fleet really be? You would think copiers and printers are similar enough (if anything, a printer is simpler than a copier), but effective management of copiers differs greatly from that of printers; they actually require completely different business models. Many copier companies get the printer side of their business all wrong and end up costing their customers greatly. MPS takes all the traditional costs associated with printer management – toner, service, parts, the printers themselves – and bundles them into one service that also includes tracking software, print workflow software and network security protection. Without MPS, you may buy your printer one place, your toner another place, your service somewhere else, and then somehow have to stay on top of all your printer needs and make sure they’re secure. This causes various people at your organization to work with multiple vendors. Bundling with MPS not only saves you money, but it also saves your employees time and headaches. At the end of the day, your printers will cost you money with or without MPS. You may be buying your cartridges off the internet, using your printer until it breaks, micromanaging your toner or hiring the guy down the street for repairs. Maybe you skimp on service and your hardware costs go up because you need to buy more printers. MPS brings efficiencies to the equation, and the right MPS partner can help you lower costs. MPS done right will save you 20 to 30% on printing costs. You may find it difficult to spot a fake, because when you look at an MPS company’s website, they may say all the right things to make you think they can give you a full MPS package, but as an informed consumer, you need to be careful who you trust. It’s one thing to publish on your website that you do MPS; it’s another thing to actually do MPS. If you really want MPS, and you really want it done right, you’ve got to look under the hood. 1. Can You Visit the Warehouse? Do a site visit with your potential MPS partner. Many companies who do fake MPS don’t have a warehouse onsite fully stocked with the supplies their customers need. Ask to see their warehouse and shipping and receiving dock. This will tell you whether they handle the management of printer supplies on site, or if they source it to someone else. It’s not uncommon for fake MPS companies to have a small warehouse offsite, or even outsourced states away, which adds complication. How can they quickly address a customer issue with limited supplies or supplies in another state? 2. Does Your MPS Provider Handle Numerous Printers, Even Across Several States? An MPS program done right can manage dozens, hundreds, even thousands of printers across multiple locations in multiple states. Printer management, at times, can feel like the wild west, especially when you have many printers to manage. Printers move around, they break, they need toner, they expose security breaches, they get old and need replacement. With so much movement, unless you have the right tracking tools and a really good administrative team putting information into the system, tracking the devices and labeling them correctly, you’re going to have an absolute mess. You need a good team of dedicated experts behind an MPS program to make sure the data is right, so the systems can do what they’re supposed to do. 3. Who Are the People Behind the Work? Many companies that don’t do real MPS might have just one person doing everything. MPS done right requires the synchronization of teams of people designed to support your printers. Process matters. This means admin, sales, workflow specialists, software experts, trainers, warehouse, supplies and service working together. Go visit the people who will be mapping equipment locations and identifying equipment. Who is collecting printer data and entering serial numbers, IP addresses, install dates, street addresses, etc. (correctly) into tracking software? How are they going to identify and put a label on every printer? When you place a service call on their printer, are their teams and systems set up to track – cradle to grave – everything that happens with the printer? Are they able to monitor when service is needed and proactively act when there’s a problem? A real MPS company does all of this to manage your printers. Very few can. 4. Will They Show You Their Numbers? You want to make sure the vendor can support large-scale MPS programs. Ask the vendor to show you a report of the number of printers they have on MPS and the number of locations they currently service. An MPS company must have scale, and I estimate they need to have 10,000 to 15,000 printers under MPS to reach that scale, so make them prove to you how many printers (not copiers) they have under a managed print program. Alleviating demands on the IT department is a huge benefit of MPS. They have far more important things to do than handle printer calls. Most IT departments have a lot to do with helping businesses strategically handle these things, but many are saddled with printer issues that pop up throughout the week. It’s an unnecessary strain, and print drivers, toner orders and printer repair emergencies are far from their favorite use of time. A true MPS vendor has the resources and ability to provide the following services. Match your printer needs to the checklist below or download a printable version of this checklist. I hope your printer management efforts are handled by a company that knows how to do MPS the right way, so you can see all these benefits in your workplace. If you suspect your printers could benefit from a real MPS program, I meant what I said above: We love printers! And we’d love to help. Jim Loffler is the founder and CEO of Loffler Companies. He started the company in 1986 with dictation machines, expanding to faxes, copiers, IP Phones, IT managed services and much more. Today, the company employs nearly 500 team members and focuses on long-term relationships. Jim is proud of the many awards Loffler Companies has received over the years, including ten years as one of INC 5000 magazine's "Fastest Growing Private Companies in America." Loffler Companies is also the official technology partner of the Minnesota Vikings, Minnesota Timberwolves, Minnesota Lynx, Minnesota Wild, St. Paul Saints and the University of Minnesota athletic department. In 2018, Jim was named one of Minnesota’s Top 500 Business Leaders. Jim has been married for more than 40 years to Darcy, his junior high school sweetheart. They have two children, four grandsons and one granddaughter. In his spare time, Jim enjoys golfing, boating, cooking, photography, music and traveling.